Big Brother Naija 2019, also known as BBNaija 2019 is back again. This time for the 4th season. Just recently, the organisers of the highly popular TV Reality show announced the date for the auditions that will be held to pick the housemates. In this piece, we shall be answering some of the most frequently questions we’ve been asked about the show and the bbnaija 2019 edition (season 4). Before we proceed to the questions and answers, here is a tip for all bbnaija fans: The first thing you need to do is to download the unofficial android fan app called BBNfanz so that you can stay up to date with any developments in all bbnaija editions. Click Here to Install the App from Google Play. How do I Get BBNaija 2019 Latest News Today and Updates? YES! A new app has just been launched to keep fans updated with news and happenings from the show. This is not an official app from the organisers but its very good if you love to be updated with latest news about the show and happenings in the house. Click Here to Install the App from Google Play. The actual date for the start of BBnaija 2019 on DSTV and GoTV has not yet been announced, however this should be anytime soon because the date for the auditions have already been announced. If you want to know when it starts showing on TV then download and install the free Android BBNfanz app. Click Here to Install the App from Google Play. 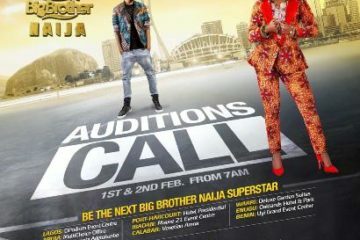 When is Big Brother Naija 2019 Audition Date? To know if there are any changes or updates to the dates or venues for the audition, install the BBNfanz app for bbnaija fans. Click Here to Install the App from Google Play. Applying for bbnaija 2019 is not a difficult process. In fact the organisers have made it very easy. You do not need to fill any application form or apply anywhere or pay any sum of money. 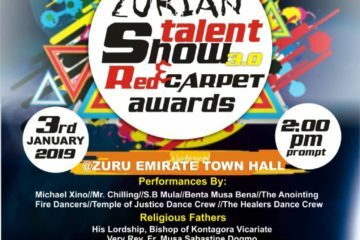 All you need to do is to check the list of audition venues above to see which city is closest to you and then on the 1st or 2nd of February 2019, go to the venue listed with your International Passport document. Who is Eligible to Register for Big Brother Naija 2019? 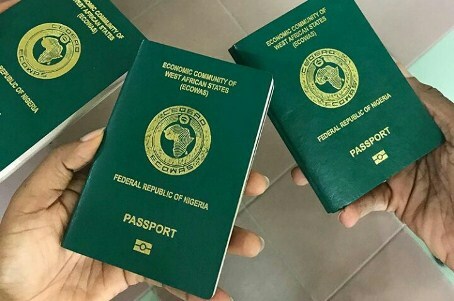 You must be a Nigerian of 21 years and above and you must have a Nigerian International Passport. bbnaija 2019 registration is a very simple process and its free. You do not need to fill any form or do any kind of application before the day. Just locate the bbnaija 2019 audition venue closest to you and go there with your International Passport. That’s all! Just go there on the 1st and 2nd of February 2019 and try to be early (the audition starts at 7 am in the morning so try to be there even before that time. bbnaija 2019 audition date has been announced but there is no actual form that you have to fill to register so aspiring bbnaija 2019 housemates should be warned because anybody telling you about a registration form that you have to fill or pay for is only trying to scam you. To participate in the audition is free and you do not need to register first or to fill a bbnaija 2019 form, all you need to do is just go to any audition venues closest to you on 1st or 2nd February 2019 with your International Passport. Big Brother Naija 2019 Application Form – How to Get it? As explained above, there is no bbnaija 2019 application form. To be a part of the audition, all you have to do is to locate any audition venue closest to you and go there with your international passport on the specified dates (1st and 2nd February 2019). Still on the issue of the bbnaija 2019 application form, as noted in the answers above, there is no actual application form for you to be a part of the auditions. Anybody trying to sell you a bbnaija 2019 form is only trying to defraud and scam you. Try to read the questions and answers above to see how you can take part in the auditions and become one of the housemates. You should also download the bbnfanz app to stay up to date with any new developments concerning BBNaija 2019. Click Here to Install the App from Google Play. Big Brother Naija 2019 promises to be explosive considering all the hype surrounding the announcement of auditions. As at this time, the housemates have not yet been selected although Lots of aspiring housemates are preparing themselves for the auditions. There has also been an upsurge in whatsapp groups, social media groups, facebook groups and other communities many offering bbnaija 2019 mentorship programs and offering to teach, support, help, sponsor or mentor potential housemates and also tips on how to pass the bbnaija auditions. While many of these groups may be genuine, several others are run by scammers, fraudsters and con-men who wish to deceive unsuspecting aspirants therefore you are advised to be wise and to “shine your eye” because you do not need to pay any money to be a part of the auditions. And Finally, Is there an App for Big Brother Naija? For now the best bbnaija 2019 android application available will allow you to get very up to date and latest news about the housemates. Click Here to Install the App from Google Play.